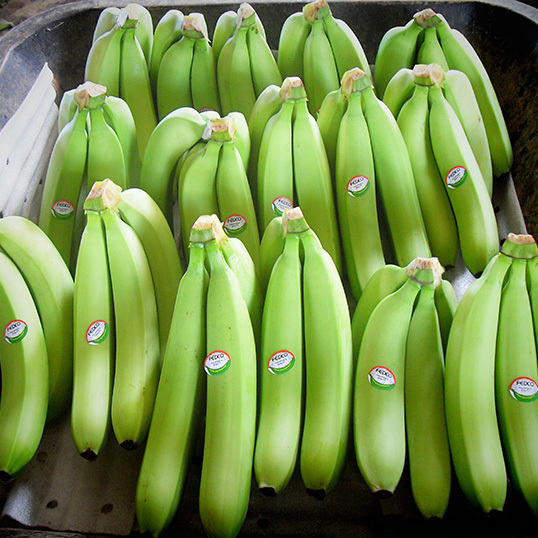 Banana High quality fresh cavendish bananas are produced and exported by member cooperatives of FEDCO. It is exported to Japan, China and Middle East. Cacao fermented beans FEDCO is selling Grade A well fermented and sun dried cacao beans. These beans are produce by FEDCO’s members and other small growers in Davao. (Tableya) FEDCO's 100% CACAO TABLEYA- NOW AVAILABLE. Cocoa, one of nature’s many miracles, is in fact the great super-food that many people seek. Cacao is packed with vitamins and antioxidants that make it almost a super food. Federation of Cooperatives in Mindanao or FEDCO is a secondary cooperative composed of cooperatives in Mindanao that produce Cavendish bananas and other agri-products. Through FEDCO, produce of its coop members and small growers found their way into stores and supermarkets of Japan, China, and Middle East countries. The federation was founded in July 1999 by seven banana cooperatives whose member farmers are Agrarian Reform Beneficiaries in Davao Region and have 40 years of experience in supplying to global fruit export companies carrying such brands as Dole, Del Monte, Chiquita, and others. 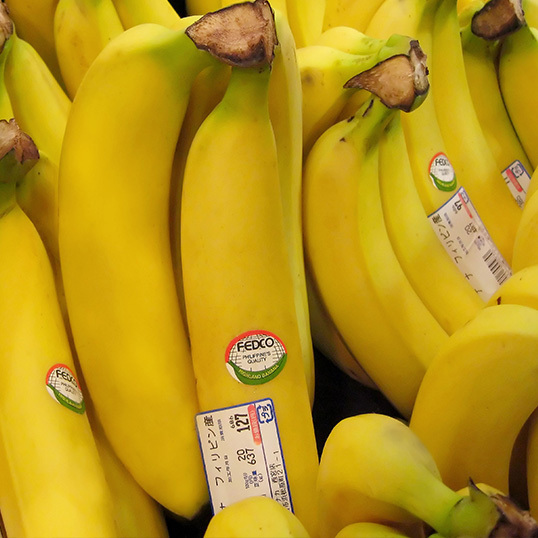 FEDCO was formulated with an aim to empower small banana growers in Davao Region. And as it pursues to accelerate cooperativism in the agri sector in Mindanao, FEDCO had diversified. Over the years, it expanded its operations not only into Cavendish banana but also into cacao production and other agri-products. FEDCO is exporting high quality fermented cacao beans. FEDCO is optimistic in increasing its market share in the global market, thus it will continue to improve its linkages in order to provide opportunity to its primary coops and be of service to them as their main stakeholders. To keep up with the high global standards, FEDCO makes sure that strict farming practices are being followed by growers in all its member cooperatives, from planting, fertilizing, all the way to harvesting and packaging. FEDCO continuously provides trainings, seminars and market exposures to cooperatives and growers to strengthen their capacity to compete globally. 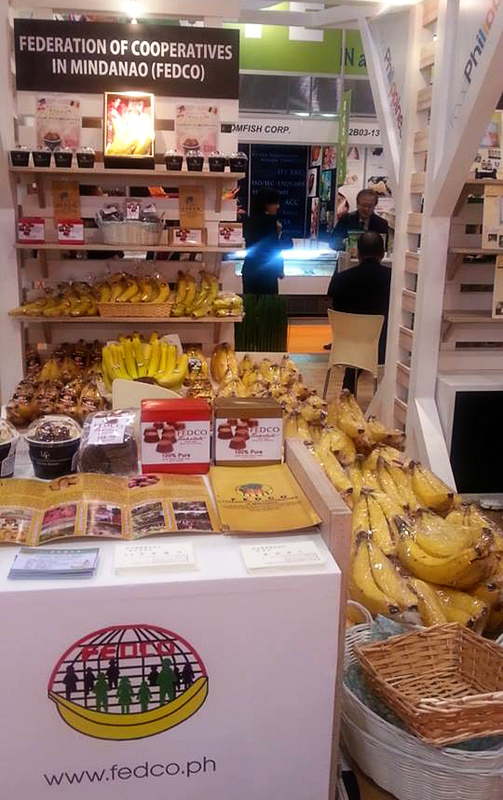 FEDCO serves as an effective marketing arm of its members; the small banana growers and other agri-products producers. Its direct partnership to international buyers eliminates third party marketing channels, thus, offering competitive price to clients and good profit to producers.